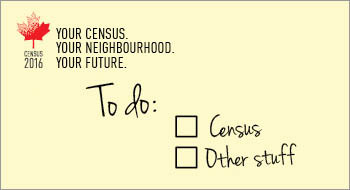 Starting today, Monday May 2, enumerators will be dropping off Census 2016 forms to all Canadian households. The official census day is May 10, 2016. 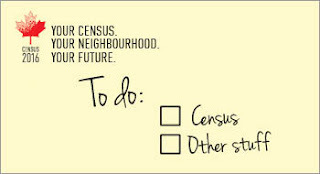 Statistics Canada reminds us that we can complete our census questionnaire online or on paper. The forms are available in English and French and “the questions are available in 11 ethnic languages and 11 aboriginal languages, as well as in braille, audio and sign language (video)”. For a glimpse of questions that appear on the census short form (which most households will receive), see 2016 Census of Population questions, short form. Question no. 10 on the form asks if we agree “to make [our] information available to Library and Archives Canada, 92 years after the 2016 Census”. I’m going to check “Yes”, because I want my responses to be available to future generations of “family members, genealogists, historical researchers, academics and journalists”. For more information, see Welcome to the 2016 Census.